Delivered new enquiries and interest in our brand internationally. After reviewing our business, Jennifer promoted us to produce relevant and engaging content which has resulted in us re-engaging with our audience and client base, delivering new enquiries and interest in our brand internationally. Jennifer’s knowledge of Social Media Marketing is very impressive, as is her commitment to continually update herself on trends and developments in this complex and fast paced industry. I would not hesitate to recommend Leave it with me to any business that needs to get serious about Social Media Marketing! Professional, articulate & well received. Jennifer presented on the theme of “Outsourcing your Social Media & Internet Marketing” in March, 2107 at the Workshop on ASEAN academic partnerships for small business and ICT knowledge transfer (a project funded by DFAT). Her presentation was well received, and the attending guests will have access to her material to potentially inform & run their own workshops back home in Thailand, Malaysia and the Phillipines. Jennifer was professional and articulate in getting her message across to the audience. I would recommend Jennifer to other organisations should they need a person to present and inform their constituency of Social Media’s value. Upbeat, enthusiastic, knowledgeable and engaging! Jennifer Brosnan, social media expert extraordinaire, spent approximately an hour presenting to my Creating, Managing, and Marketing a Small or Solo Law Practice. Jennifer was upbeat, enthusiastic, knowledgeable, and engaging during her presentation. Her tips for developing a social media marketing plan for a law firm were extraordinarily well-received by the students in my class. Jennifer showed my students how platforms like Facebook, LinkedIn, Twitter, and others could be used to great advantage in marketing a law firm. My students were thoroughly engaged by Jennifer’s Aussie humor, her comprehensive knowledge of all forms of social media, and her first-hand accounts demonstrating the success achieved by other businesses which had employed her methods. Thank you for your hard work in helping to create a vibrant community Facebook Page for North Blackburn Shopping Centre. Your ideas to include retailer profiles, Centre activity posts, and general Centre information have helped build the awareness of our page to the patrons of the Centre and beyond. You have created a sound base on which we can further build. We would happily recommend any business, either new to Facebook or those wanting to build their brand awareness, engage Leave it with me to assist them with their Social Media campaigns. Helping you with your Social Media to keep your work life stress free. “Leave it with me”. That’s exactly what you do! Leave it all in Jennifer’s capable hands. She does it all for you and you don’t have to worry about a thing. She is very creative and knowledgeable, keeping you involved and informed at all times. Jennifer set up our Facebook Page, maintaining and managing the page with promotions, recipes, adverts and competitions. I can highly recommend Jennifer to assist you with your Social Media to help keep your working life stress free. Need help? This is your girl! There’s people that talk about getting things done and people that actually make it happen. Jennifer has been fantastic at working with minimal direction, being pro-active, managing her time and keeping me ‘in the loop’. I’d recommend talking to Jennifer if you require marketing or administrative assistance, need social media help or someone to bounce ideas off. We have worked together to build the profile and social media presence of a client based in another city. Jennifer was able to do the right research, find necessary information and never missed a beat. She is a stickler for time and detail, which was very helpful for me. Above all she is honest and a person of great moral fibre. Thank you very much for the valuable information and for the fantastic workshop. I found it very insightful and following your guidelines I am about to start creating the Facebook page of our organization. Our social media needed some work on it and we weren’t quite sure how to go about it. I decided to bite the bullet and get in ‘Leave it with me’ ‘s Jennifer Brosnan. She was professional and interesting. Her wisdom in all things “social media’ related has now helped put our ‘page’ on the map. She has given me an insight into my business that I wasn’t aware of. In this era of technology driven consumers I now feel confident in working my way around my company’s ‘facebook’ page. My name is Peter Grierson and I am chairman of the Whitehorse Business Group. Our group provides networking and business education opportunities for business people within the City of Whitehorse. In 2015, we engaged Jennifer Brosnan to manage our office as our normal administrator was on leave. Jennifer was responsible for office admin, social media and event management while undertaking her role. Jennifer got us started on Facebook and taught us how to use it. She clearly knows her stuff. We are now learning the benefits of social media thanks to Jennifer. Thanks for all your help Jennifer, you have made moving forward easy and helped highlight our objectives and direction. The contacts you have shared with us and your knowledge make us feel secure in what we are doing. We are looking forward to working with you again in future. Jennifer did a fabulous job setting up, promoting, updating and adding content to my Facebook page. She is creative, forward thinking, and innovative in how to engage online customers and with strategies to assist my businesses success online. 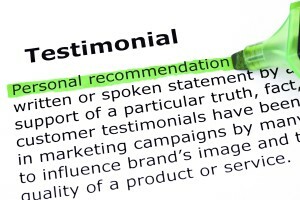 Her professionalism, competence and genuine care for my business surpassed my expectations. She knew what i needed to launch and promote my Facebook page and has continued to provide advice, direction and assist me with content & events needed to engage an audience. If you are looking to get your Social Media started, need a Facebook ad created or need direction in creating ongoing content, then give Jennifer a call as she will be able to help you.